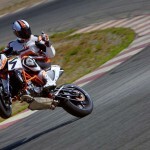 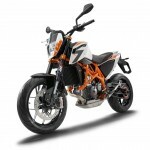 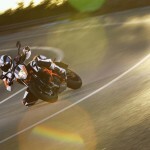 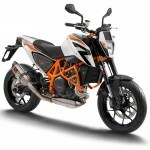 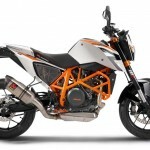 The biggest news from KTM at the 2012 EICMA Show was the unveiling of the new 390 Duke and a prototype of the upcoming 1290 Super Duke R. In between these small and large naked bikes, KTM announced a new R-spec version of its middleweight 690 Duke. 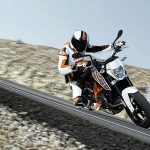 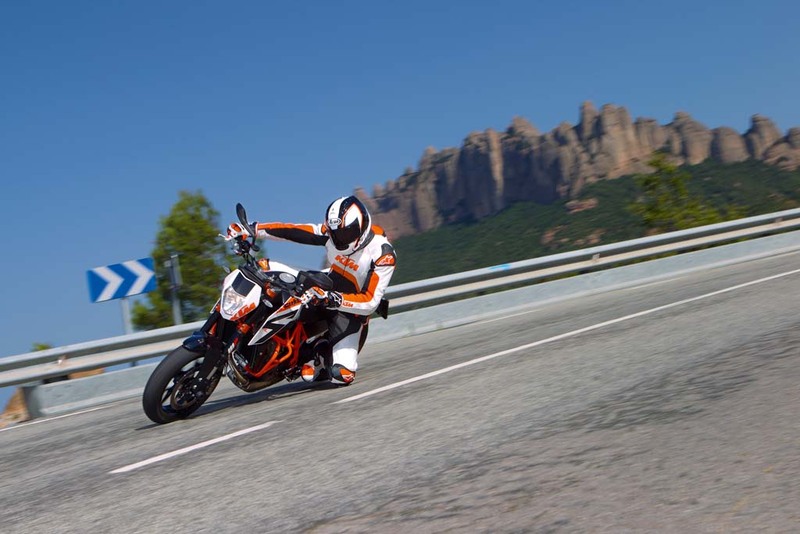 The 690 Duke was introduced in 2007 and received a substantial update last year with a 690cc engine claiming 67 hp, leading KTM to call it the world’s most powerful Single in a production model. 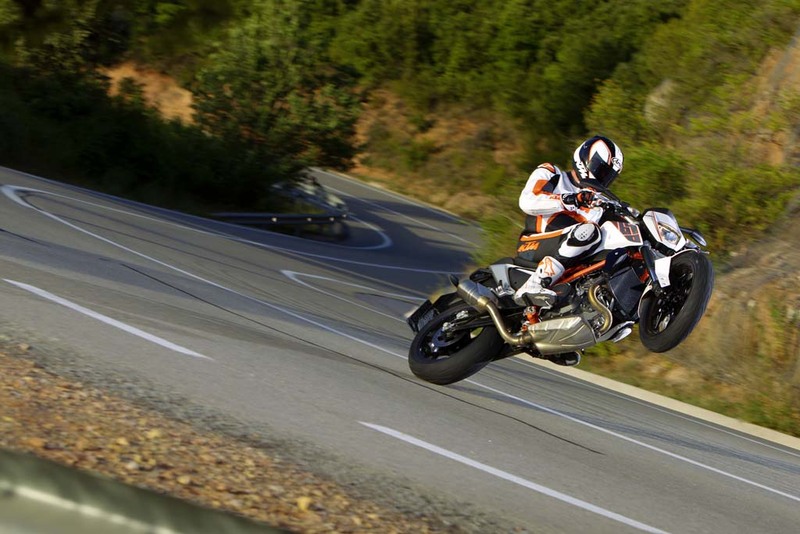 The 2013 KTM 690 Duke R takes that same engine but adds an Akropovic exhaust KTM claims pushes peak power output to 69 hp at 7500 rpm. 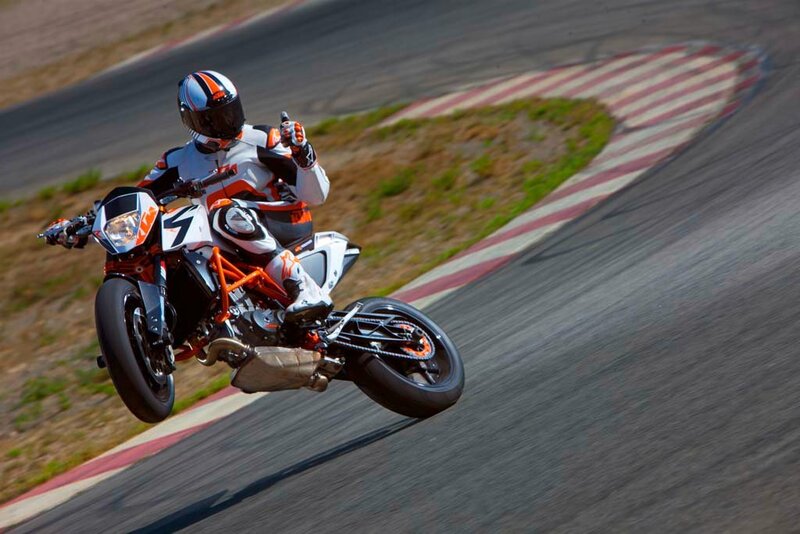 Claimed torque remains at 51.6 ft-lb. 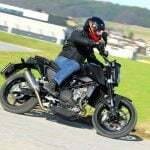 at 5500 rpm, just like the non-R version. 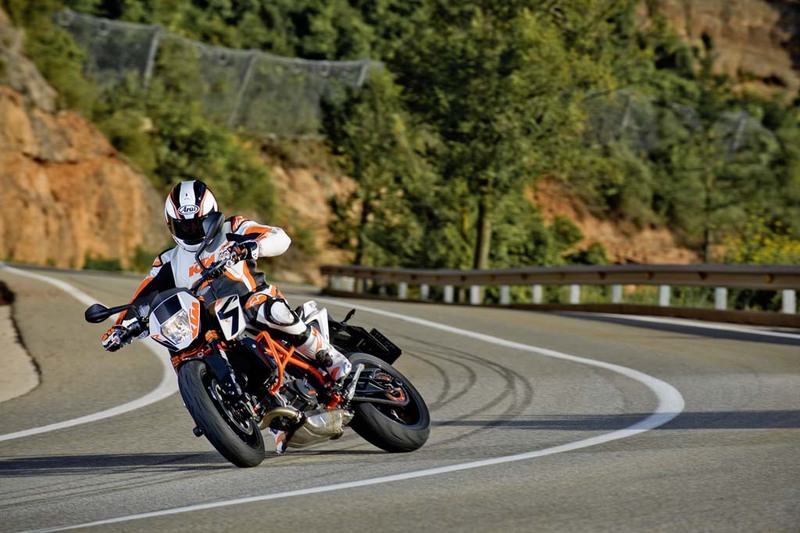 The 690 Duke R also has a higher chassis and stiffer suspension with more damping, developed during the 2012 European Junior Cup racing series. 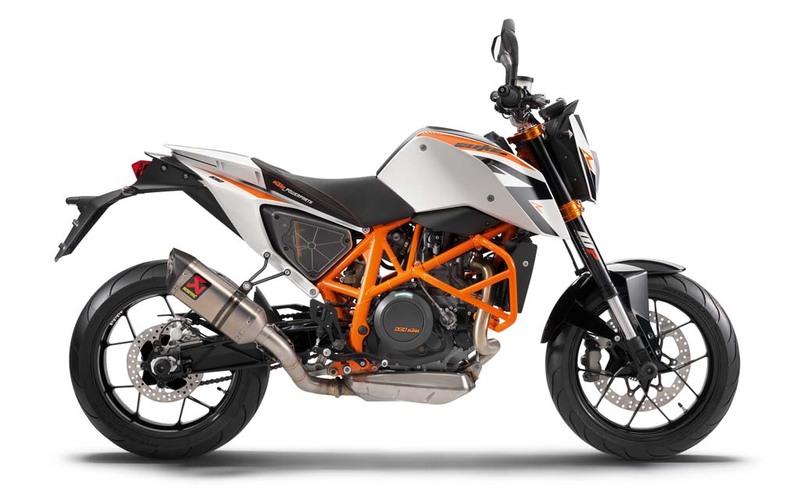 The new WP fork is 15mm longer than the fork on the regular 690 and offers 150mm of travel compared to 135mm on the 690 Duke. 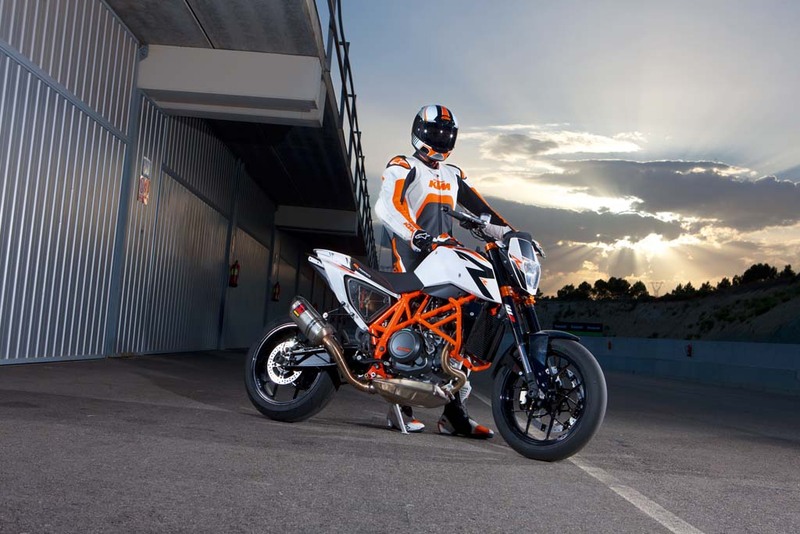 The new fork also separates compression damping and rebound damping between the two fork legs. 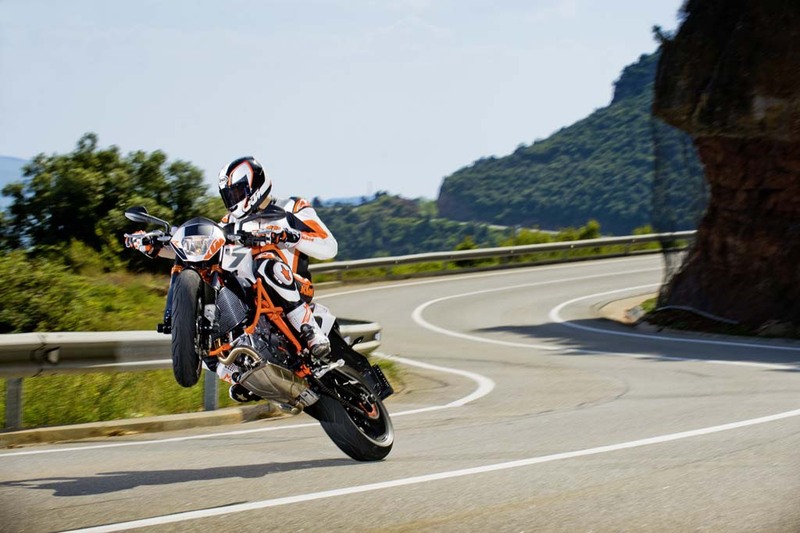 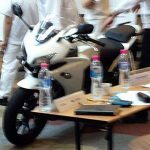 Like the regular 690 Duke, the R version is equipped with a Bosche 9M+ ABS system. 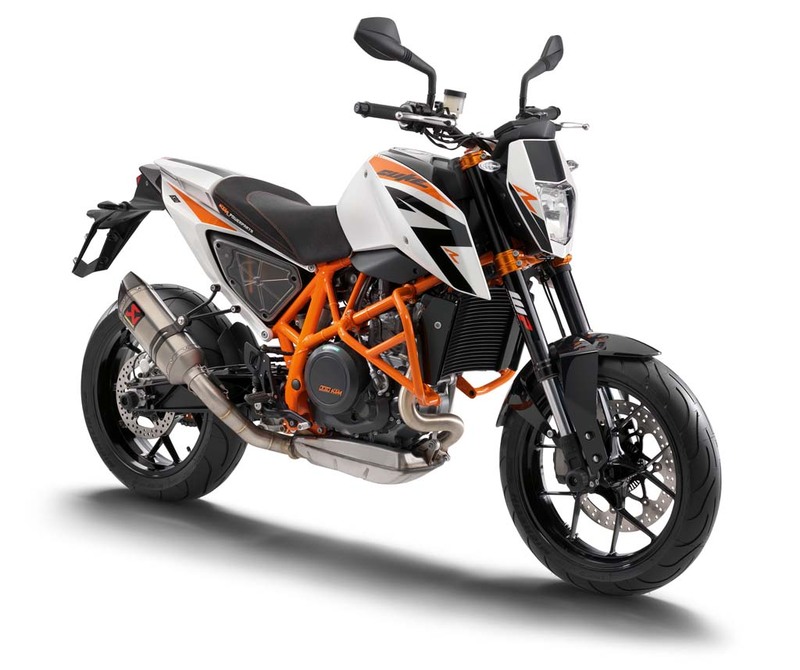 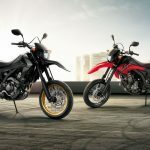 On the Duke R however, gets a Supermoto setting that disables ABS on the rear wheel to allow for intentional wheel sliding or locking. 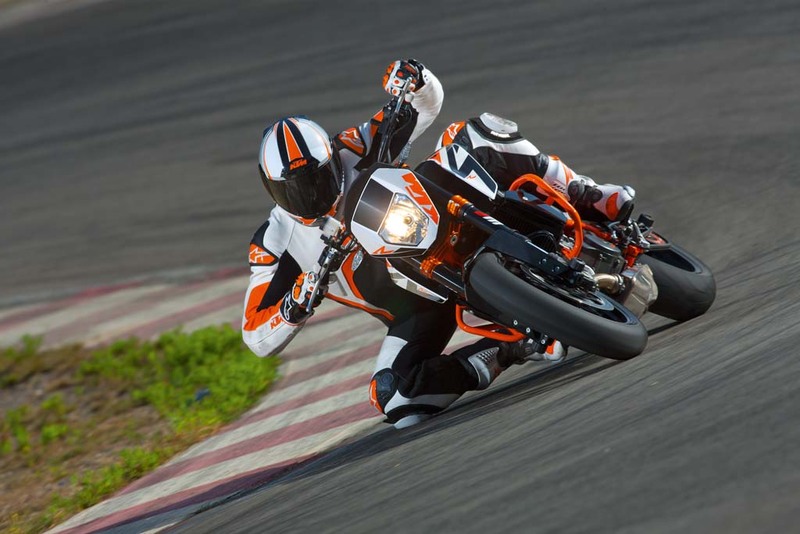 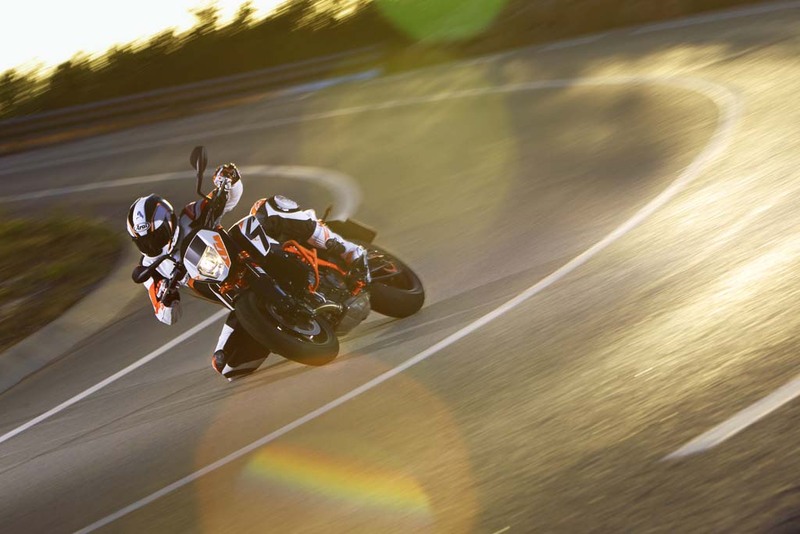 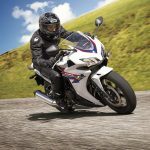 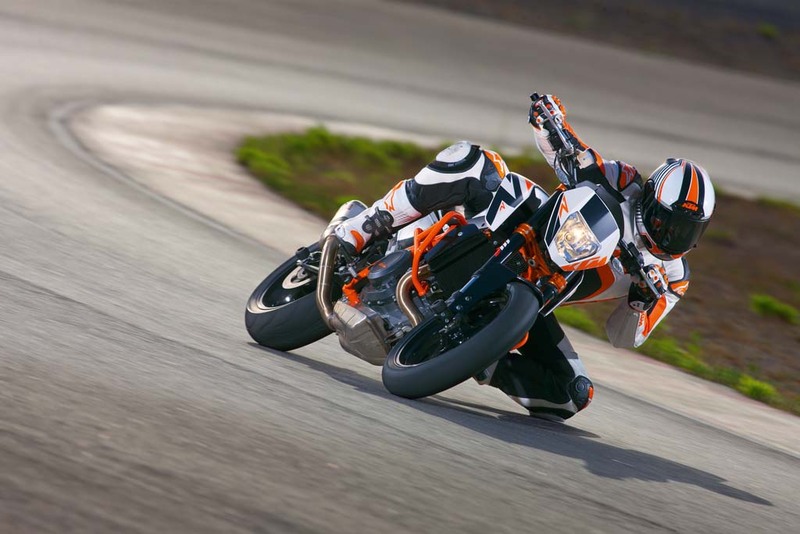 Another development from its racing applications, the 690 Duke R gets lower handlebars and higher footpegs for a more aggressive riding position. Rounding out the list of updates is a set of orange crash bars matching the trellis frame, useful for the rider getting overzealous with the ABS’ Supermoto mode. 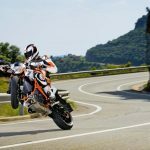 KTM did not offer the 690 Duke in North America last year, so we’re not holding our breath about getting the R version, but if you’re in Europe, you’re in luck.